International Representatives offer the Vibration Institute’s training & certification programs to individuals & organizations within their region. 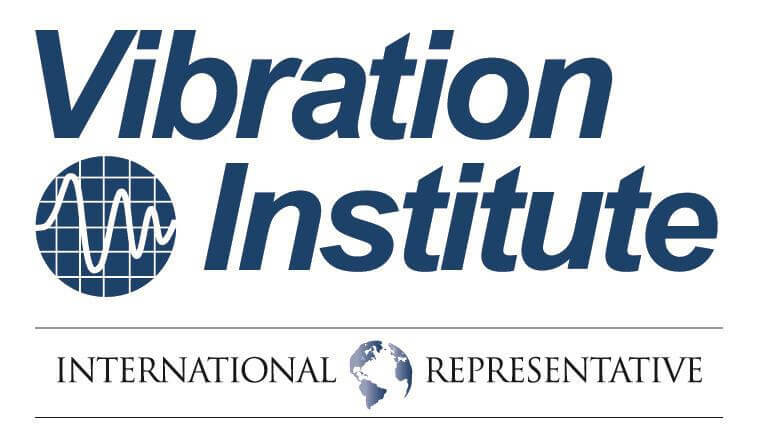 The Vibration Institute is a global organization that works with International Representatives to offer the Institute’s training and certification programs to individuals and organizations within their region(s). International Representatives have entered into an agreement with the Institute to conduct training, education and certification utilizing the Institute’s materials and follow established Institute policies and procedures. If you are interested in becoming an International Representative of the Vibration Institute, please contact us at information@vi-institute.org or (630) 654-2254. Product Sales -- This includes high end and low end equipment. TERMORAM represents exclusively the best manufacturer firms of CBM equipment and we have highly qualified and trained personnel with International Certifications to warrant an optimal use of our products and services for your benefit. Tecnologías Predictivas is a company with regional projection, our main focus is Conditioned Base Monitoring, our company provides solutions in all the CBM fields including Services, Equipment and Training. Our personnel is highly qualify and with years of proven experience. CMVA/ACVM is a non-profit association whose fields of interest include machinery dynamics and all aspects of condition monitoring and predictive maintenance of machinery, especially vibration monitoring and analysis. Encourage the development and application of Canadian and international standards of practice for the fields of interest and for personnel certification. Services Techniques Claude Drouin Inc. is proud distributor, specialized in alignment products; we will meet and even exceed your performance expectation, insuring product reliability at an interesting price for all your alignment, maintenance, diagnostics and repair needs for your products and your plant installation. We offer the complementary services, standard or customized training, as well as a certified calibration laboratory for all equipment. VibeLube Inc. is specialized in Machinery Vibration Analysis Services and Training. Our vibration analysis service is comprised of: 1- Diagnostic, Commissioning & Acceptance Testing, 2- Dynamic Balancing & Precision Alignment, 3- Predictive Maintenance Programs. In Predictive Maintenance, VibeLube is authorized agent of Azima DLI, the leader and premier provider of PdM analytical services and products in the world that align with customers’ high standards for reliability, availability and uptime. We offer world-class PdM analytical resources and technology to those companies looking for local resources to support, improve or establish effective PdM strategies in their plants that ensure asset availability and maximize productivity. In Training, we conduct professional courses with certification exams in machinery vibration analysis ISO Category I & II as Vibration Institute representative in Canada. Técnicas Predictivas Proactivas de Mantenimiento Integral (TPPMI), is a Mexican leader Enterprise which offers services involving the new concept of the Proactive Maintenance; which consists in analyze the root cause of failure in rotating machinery; implementing the corrective actions and activities in order to increase the machinery reliability. Our company offers consulting services in Vibration Analysis, Laser Alignment, Field Balancing, Thermography, Ultrasound, Non Destructive Testing, Training Courses and Bearing Applications. TPPMI’s personnel is specialized in Vibration Analysis with training courses in Mexico and other countries obtaining the corresponding degrees and certifications, also TPPMI provides their customers with high technology in portable equipment and continue monitoring system. Reliability field. Its staff consists of highly proficient and recognized specialists working in South America for more than 25 years. JPS provides Technology Solutions, Services and Training. It has educated and trained more than 2000 people. JPS constantly develops new alliances and partnerships with technology world leader in the reliability field, bringing state of the art technology and knowledge into the region. We are specialist engineers in Predictive Maintenance of rotating machinery since November, 1986 (More than 30 years). Our job has let us work in all kind of companies: oil and gas, production, energy, water, transport, mining, etc. In addition, we lead the vibration analyst training field in our región. Reliability systems, vibration analysis, dynamic balancing, thermography, motor circuit analysis, ultrasound, RCA, RCM, sound surveys, Bently Nevada systems, installation, operation and maintenance. Vibration consultant, monitoring vibration, vibration analysis, ODS, modal analysis, FRF finite elements. ISE Industrial Service Engineering is an Italian Company leader in maintenance solutions and services. ISE’s mission is to maximize plants efficiency through innovative maintenance systems diagnostic technologies and high quality products providing condition monitoring services and equipment diagnosis we support our customers in specific consulting activities providing specific training for operators and maintenance managers. ISE operates in the following Sectors: Oil & Gas; Power Generation; Pulp & Paper; mining; Steel & Aluminum; Automotive; Food & Beverage and Chemical etc. Technicas y Servicios de Ingenieria, S.L. RITEC is the leading machinery condition monitoring company in the Middle East and provides complete services in predictive maintenance, including condition monitoring, vibration analysis, thermography surveys, rotordynamic analysis, balancing, alignment and machinery fault troubleshooting. RITEC provides complete solutions in condition monitoring, including products, services and training. In this regard, RITEC represents and supports in the Middle East, the products and services of the Vibration Institute, AzimaDLI Condition Monitoring Solutions, Kohtect Laser Alignment Tools, and CTC Vibration Measurement Accessories. Beijing ENVADA Electric Power Engineering Technology CO., LTD is founded in 1992, is devoted to the research, development and production of vibration monitoring protection, fault diagnosis and intelligent industrial instruments for rotating machinery. ENVADA has found product lines including large rotating machinery vibration monitoring and fault diagnosis systems, on-line wind-turbine condition monitoring systems, which have become the ‘first choice’ of more than 1,000 users in power industry,wind power, metallurgical industry and oil refining and chemical industry. BPdM Technology (Beijing) Co., Ltd.
Zhejiang WindIT Technology Co., Ltd.
Zhejiang WindIT Technology Co., Ltd., headquartered in Hangzhou China, is a leading total-solution provider for machine health monitoring system and services. Our expertise takes root in various industries including wind power, thermal power, O&G, chemicals, transportation. Our mission is to facilitate industry maintenance strategy transition towards predictive maintenance. Combined with our terabyte monitoring data, hundreds of case histories, in-depth knowledge in monitoring system development and diagnostics, we aim to provide best-in-class services. Provide training programs for industries that suitable for different applications in condition monitoring and provide as an International Representative of the Vibration Institute provide their training and certification. To provide industries with a suitable solution in condition monitoring and supply suitable instruments and train the technical team members. Carry out annual condition monitoring contracts. Team of experienced engineers in the field of Vibration monitoring and reliability. We cater to the needs of petrochemical companies and our services include periodic as well as need base vibration data collection and analysis and reporting including additional condition monitoring techniques. E-Vibration Consultancy Services are a dynamic Company and pioneer in turbo-machinery equipment reliability solutions. We provide turbo machinery vibration analysis and diagnostic services through remote vibration data analysis. Our remote e-vibration analysis service is an internet-based cost effective solution for turbo-machinery problems. In addition we also provide all type of rotating machinery field vibration analysis and trouble shooting, rotor dynamic balancing, annual onshore/offshore machinery analysis, vibration analysis contract, vibration analysis training and certification. Vibrotech Trainers & Consultants Pvt., Ltd.
We are a professionally managed company successfully providing consultancy in the field of vibration analysis, diagnostic studies and in-situ dynamic balancing with proven results in more than 100 major industries in India. Our office is located in the heart of Chennai City, Tamil Nadu State, South of India close to IT hub. We conduct in-house basic training programmes in vibration analysis for our customers at their respective plants. We are also the Indian representative of Vibration Instrument suppliers VMI – Swede and have sales & service centre in Chennai. VIBROSERV is the predictive maintenance service provider in the field of Vibration Analysis, Machinery Lube oil surveillance programs and Reliability Studies, aimed on helping industries to improve plant Reliability,Availability, Maintainability and managing their assets by reducing the unexpected failures by condition based and planned corrective maintenance. We offering services in Vibration Analysis, Rotating equipment balancing,Condition Monitoring Audit,Orbit, Shaft centerline, Phase analysis, Online Continuous monitoring system analysis,Machinery Lube oil analysis and surveillance, Reliability Centered Maintenance engineering. Cistech Alpha Indonesia is an engineering firm focuses on providing high quality products, consultancy services and training in the area of preventive and predictive maintenance. On products sales, we are representing Bruel & Kjaer Vibro, IMI Vibration Sensors, etc while for services, we are providing vibration analysis survey, field balancing & laser alignment services, infrared thermography and gas leak finder services. ATG is a leading company focused in Predictive maintenance technology Service and Training, System Engineering and Sales that includes Vibration Analysis, Infrared Thermography and Airborne Ultrasound in Korea. Our purpose is to provide the best values for the asset management program of our customers for its sustainability. We have experienced totally more than 30 years of vibration training. Our qualified and experienced instructors provide the certification courses following ISO 18436-2 Category I to III courses and certification. We also provide in-house training and tailored on-site training for all the Predictive Maintenance technologies. BK Vision is a Korean partner of Bruel & Kjaer Vibro, the world's leading company of vibration business. We supply vibration monitoring systems and trouble-shooting services to nuclear power plant, chemical, iron, heavy industry, etc. BK Vision provides not only the total solutions for rotating machinery, but also specialized consulting services for various areas such as structural dynamics, FEM analysis, and environment noise. BK Vision is also a certified training body (ISO18436-2) of KCI-MD (Korean Certification Institute for Machine Diagnostics) and has provided the vibration training of category I and II since 2007. In 2009, we added the category III course in our curriculum, which is educated by category IV certified instructor. More than 900 vibration analysts have been trained by BK Vision and we are proud of being the leader of vibration training in Korea. Based on our successful business performance and plenty of technical know-how and experience, we aspire to extend our service to overseas markets including southeast Asia. 7301 Petaling Jaya, Selangor Darul Ehsan. Vibration & Sound Services & Sales Pte Ltd.
Vibration & Sound Services & Sales Pte Ltd (VSSS), which was incorporated in Singapore in 1979, provides vibration-related solutions (services, products and training) to all industries in Asia. Our core services include basic and advanced vibration analysis, sound and acoustic analysis, insitu balancing, laser alignment, infrared thermography. Vibro Technologies & Engineering Pte Ltd.
Our Company provides total predictive maintenance solutions to meet our customers' needs in the following areas: Specialty/Wire Rope Lubrication, Customized Lubrication Design, Lubrication System, Preventive/Predictive Maintenance Programs/Training, Vibration Analysis & Balancing Products, Laser Shaft Alignment, Condition Monitoring Equipment, Vibration Hardware, Noise Control / Monitoring, and Ultrasound Products/Inspection. The Thai-German Institute is a joint Initiative of the Government of the Kingdom of Thailand and the Government of the Federal Republic of Germany with the purpose to be an effective training center for transferring advanced manufacturing technology to Thai industry. It is an autonomous body outside of the formal education system with its operation under the supervision of the Foundation for Industrial Development and a broad oversight by the Ministry of Industry. Our vision is to be the leading organization for upgrading manufacturing technology to strengthen Thai industry. Patineer is a professional company for plant maintenance technology. Our mission is to help our customers improve maintenance work. We provide training and services for condition-based maintenance technology in vibration, oil analysis, and infrared thermography. We also do consulting for Total Productive Maintenance (TPM) for manufacturing plants. We always work our customers to develop technology for Thai industrials. Hanoi Development of Electrical Equipments / www.vibration.vn is working on predictive maintainance, noise and vibration analysis, balancing services (on site and off site), balancing machines (design, manufacturing, trading and training), infrared thermography, ultra sound scanning. Up to 2016, our technician got CAT III Vibration Analyst. Based in Vietnam and we serve any where in South East Asia and China with anything related to predictive and vibration. In addition, our training courses cover from basic to advance, from vibration concept to predictive maintainance. Our customers are from Cement, Chemical, Mining, Oil, Electric and many other industries of Vietnam. Quoc Huy Co., Ltd was established in 1999. Now our business scope concentrate on Testing equipment and Technical services. We supply Equipment for Ultrasonic Testing (UT), Eddy Current Testing (ET), Magnetic particle testing (MT), Penetrant testing (PT), Magnetic Flux Leakage (MFL), Positive Material Identification (PMI), Remote Visual Inspection (RVI), Radiographic( RT, FD, CR, DDA) from the top manufacturer such as GE – USA (Krautkramer, Hocking, AGFA, Seifert, Everest, Nutronics, Phoenix), Magnaflux – USA, Intron – Russia, Oxford – Germany, Guided Ultrasonic – UK, Cygnus – UK …etc. GE Energy Measurement & Control Pty Ltd is a leading Australasian Maintenance Technology Sales, Services and Training company. Our purpose is to provide and implement machine condition monitoring products, service and training to enhance industrial companies’ profitability. Key industries include: oil & gas; power generation; pulp & paper; mining; steel & aluminum; automotive; food & beverage and chemical. GE Energy Measurement & Control Pty Ltd provides comprehensive consulting services, and multi-skilled professional staff. We are a leading training provider following ISO 18436-2 Category I to III courses and certification. Our highly qualified and experienced instructors provide both in-house and tailored on-site training. Vipac Engineers & Scientists Ltd is a leading Australasian engineering consultancy with offices located throughout all Australian capital cities. Vipac has more than 40 years of experience in vibrations, and extensive expertise in Transport, Marine & Offshore, Mining, Manufacturing, Power & Energy and Systems. Vipac’s areas of expertise include vibration condition monitoring, Advanced rotor dynamics, Thermal imaging, Torsional vibration, Laser alignment, Customized online systems, Pipe pulsation/dynamics, Fluid dynamics, Structural dynamics, Fatigue analysis, Durability and damage tolerance analysis, Troubleshooting and redesign, and Commissioning and auditing. Vipac are committed to innovation and service excellence.